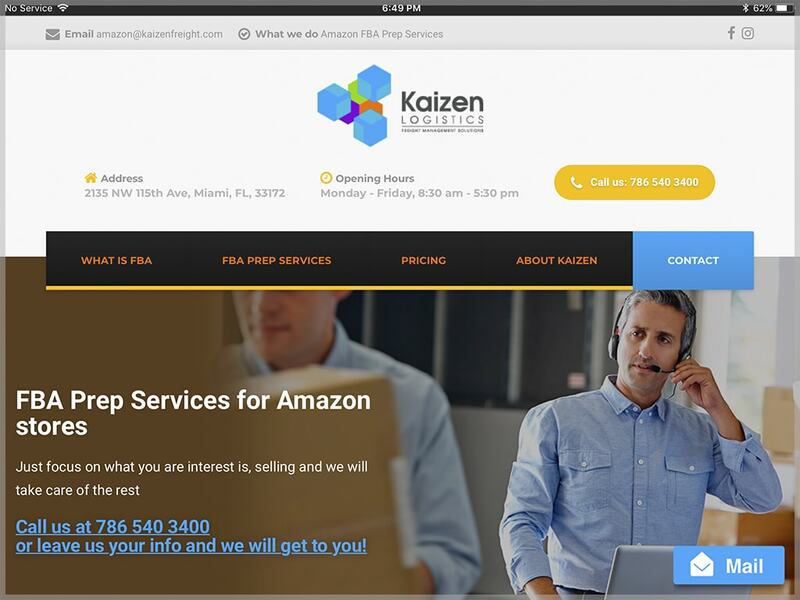 Kaizen Prep Services is a business unit of Kaizen Freight, whose area is offer services of preparation for Amazon FBA Sellers. They needed a website to gain visibility and get new customers. After a thoughtful research, we define what information were needed to be public and made some original photos. The website was developed in English and Spanish as well. Once launched, a Google AdWords campaign was released. As result, in a daily basis new clients were visiting the website and asking for more information.